As a parent most of us struggle with bedtime routines with our children. Some children find ways to stall bedtime like asking for a drink, getting out of bed, asking questions, etc. I feel like every night I hear my children climbing out of bed, tip-toeing down the hall & venturing into my room. When My Storytime Pillow's from elo™ arrived for my children, we all were very excited & actually couldn't wait for bedtime! 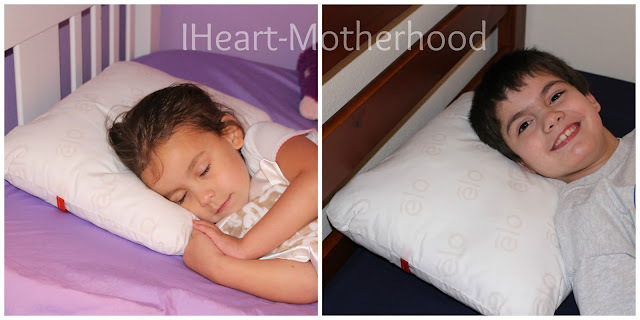 elo™ My Storytime Pillow is recommended for children ages 2-9 & is designed to help children get to sleep sooner & teaches them how to stay still and fall asleep. When your child is ready for bed, he/she can lay their head down on the pillow and listen to age-appropriate stories paired with soothing sounds. If your child's head is lifted, the audio pauses & they are gently reminded to lay their head back down to hear the rest of the story. Upon arrival, it only took a few minutes to set up my children's new elo™ My Storytime Pillows! Simply create your free account on the elo website, connect your pillow to wifi & then sync it. You will be able to see your pillows battery level, control the volume & even view the free SleepLists. There are over 100 titles available for download in the SleepLists. You will find tons of your children's favorites like Clifford, Curious George, Berenstain Bears & more! My daughter was so excited for a Clifford story, while my son preferred his favorite - Curious George! The My Storytime Pillow is easy to use for children & adults, there is a button on the backside of the pillow. When the pillow is turned on it will chime & light up, once your child lays their head down their favorite story will begin. No need to turn off the pillow later either, it will automatically shut off after the story is done. Overall, everyone has really liked their new pillows! They are soft, comfortable & are the perfect size for my little ones head! We are a few nights in but I'm already noticing a big improvement in our bedtime routine! So what do you think about the elo™ My Storytime Pillow? Connect: Follow elo™ on Facebook, Twitter, Pinterest and Instagram! Buy it: Purchase your own elo™ My Storytime Pillow online for $149! 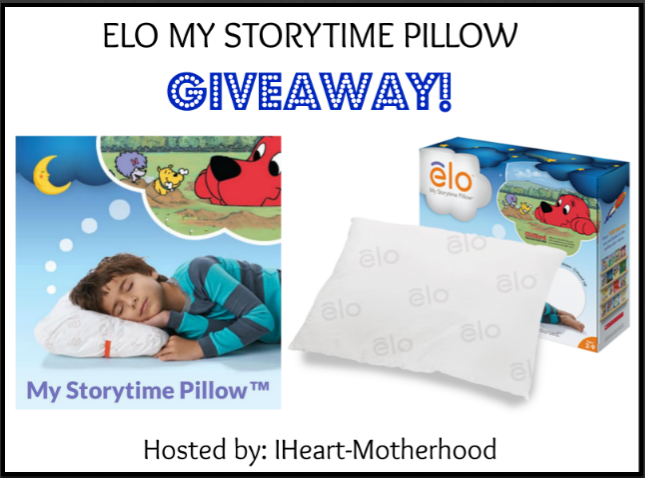 Win it: One lucky reader will win their very own elo™ My Storytime Pillow! I love that it pauses when they put their head off the pillow. Lily is four and she is really having problems staying in bed at night. She would love to try one of these! I think this pillow is wonderful and unique and a great gift for my young nephew. I think this is the coolest idea! I love that my grandson would be soothed to sleep with a story after his "regular" story time. Thank-you!! I love that it reads stories to kids which helps them go to bed peacefully. It would be great for back to school.